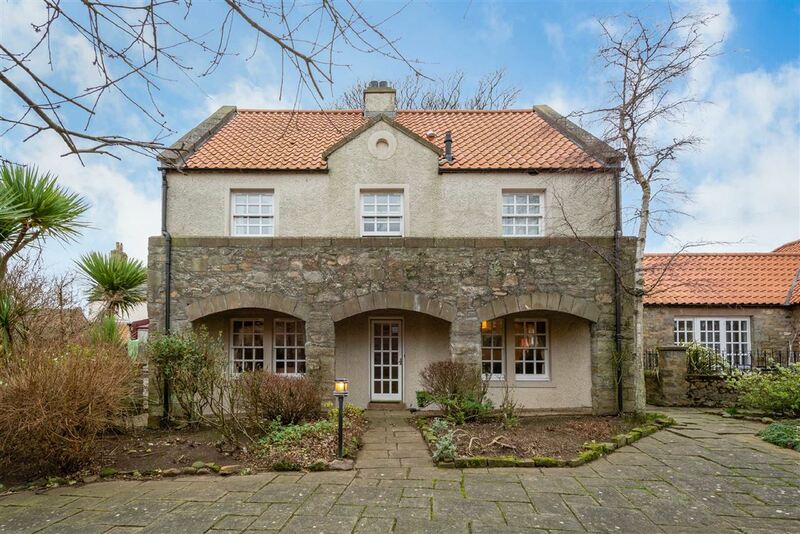 Detached House for sale in Anstruther | The Lodge 1 Caiplie Court | Thorntons Property - Estate Agents in Dundee, Edinburgh, Angus, Perthshire and Fife. 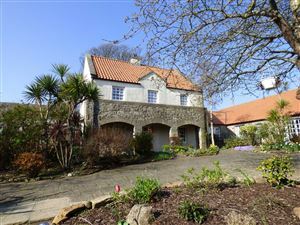 Impressive detached home extending to around 174sq m .Set within sought after steadings development on coastal path. Sea and country views. 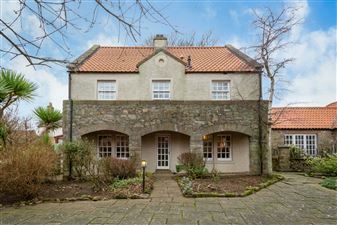 The property forms part of this handsome steadings development adjacent to the coastal path approximately 2 miles East of Anstruther. 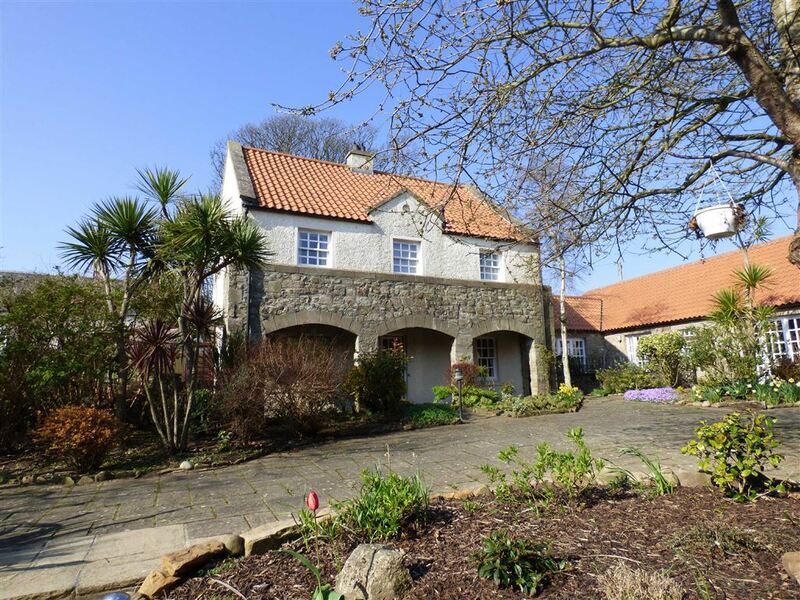 A private road enjoying stunning sea views leads to the house which is detached and benefits from a private parking space at the door and a double garage and more parking. The entrance vestibule with cloaks cupboard leads off to the hall, dining room, family room, WC and family kitchen. The dining room has a glazed door opening out to the conservatory leading to a sheltered south facing patio garden. 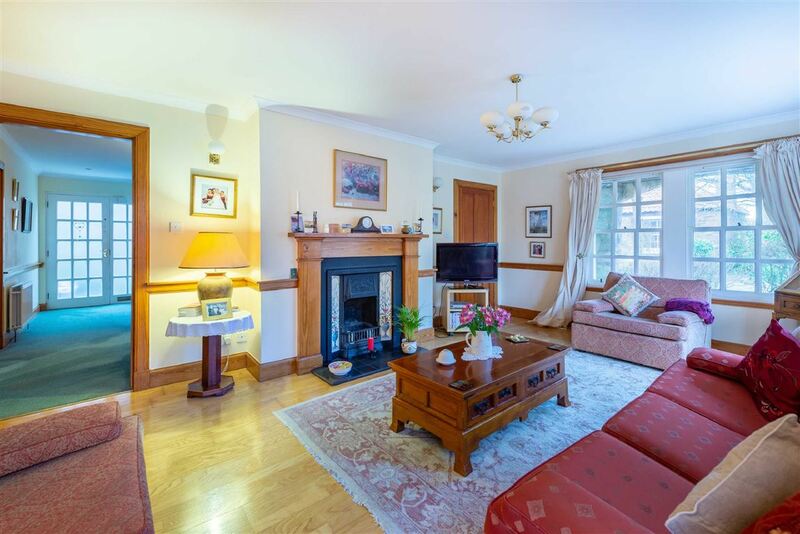 The living room is adjacent to the conservatory and dining room making this an ideal entertaining space. The dining kitchen opens into a utility room with back door. The first floor has a master bedroom benefitting from fitted wardrobes and en suite shower room. The further three bedrooms offer flexibility the corner bedroom which enjoys a dual aspect has been used as a study. The family bathroom and linen cupboard complete the accommodation. 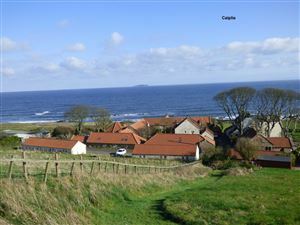 The views from this room are particularly attractive, looking out over both open country and toward the May Isle. The coastal path stretching between Crail and Cellardyke and Anstruther is just a few yards from the property. The property benefits from oil heating and double glazing. The common areas of garden and road are maintained by all the residents as an informal collective. As well as the walled patio garden there are flower beds to the side of the property planted with a mix of evergreen shrubs and a mix of flowers providing year round interest. Anstruther is the largest community on the stretch of north-shore coastline of the Firth of Forth known as the East Neuk. Originally a fishing village, the main industry is now tourism and with a 9 hole golf course, pleasure craft mooring in the harbour, and sightseeing and wildlife cruises to the Isle of May, home to the UK's largest Puffin population. Other local attractions include The Scottish Fisheries Museum, The Secret Bunker, Famous Fish and Chip Shop along with an array of restaurants including the Cellar' and hostelries.